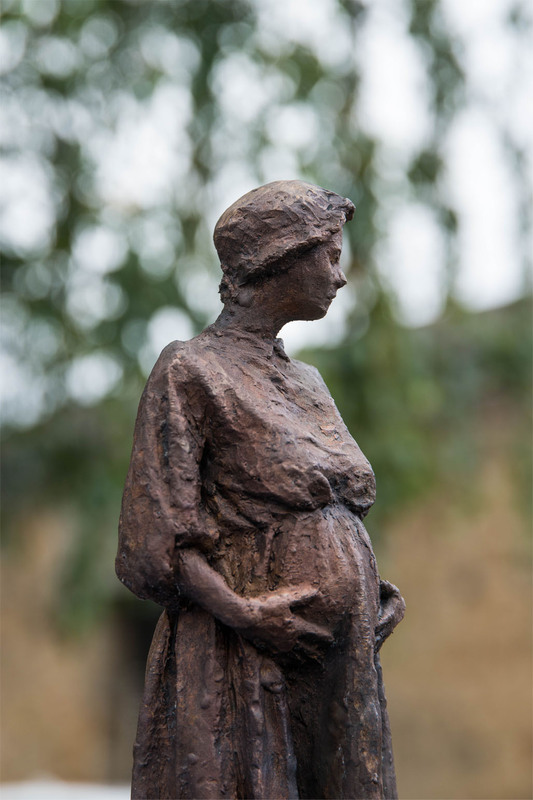 From the Shadows Inc. has been established to raise funds for three statues by renowned Irish sculptor Rowan Gillespie. 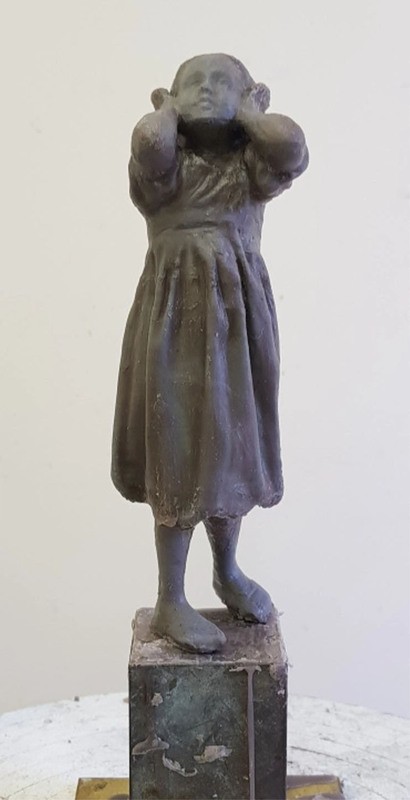 The statues will include a female convict for the World Heritage Cascades Female Factory in South Hobart and two of children, a boy and a girl, for the heritage-listed Orphan Schools in New Town. Colonial Dance has now been postponed until later in the year. 13,000 convict women, together with more than 2,000 of their free children, arrived in Van Diemen’s Land from 1803 to 1853. On arrival, the women were sent to the Cascades Female Factory or a similar institution, and their children were taken from them and sent to the bleak and miserable Orphan Schools at New Town. In all, nearly 6,000 children, mostly the children of convicts, were admitted to the Orphan Schools from 1828 to 1879. 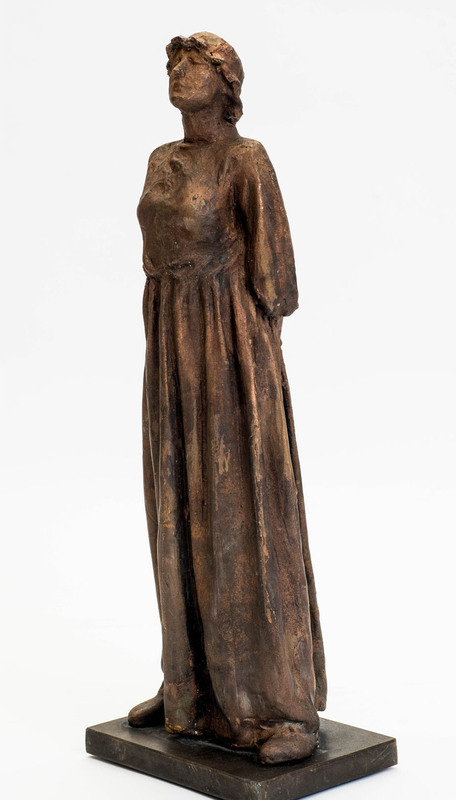 For many women sentenced to transportation to Van Diemen’s Land, their anguish at being forced to leave the country of their birth and undergo a sea voyage of over 12,000 miles to a strange land can only be imagined. Children have always been part of the convict story, if not always a visible one. Many children experienced institutional life even before arriving in Van Diemen’s Land, incarcerated in gaols or workhouses. While they were serving their sentences the women were powerless to keep their children with them. For many of these children their formative years were spent in a range of austere institutions. In the colony, families were fragmented as a result of death, desertion and rigid rules and regulations. Mothers and children lost contact with each other; many were not reunited. Many of the children disappeared from the records once they were released from the Orphan Schools. 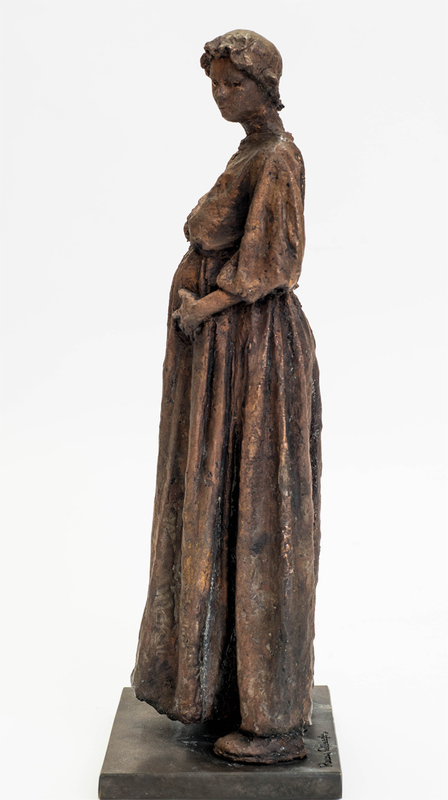 From the Shadows reflects the emergence of the stories of these convict women and orphan school children from the shadows of the past. From the Shadows follows on from the hugely successful Footsteps towards Freedom statues installed on the Hobart waterfront and unveiled by the President of Ireland, Michael D Higgins, and the Governor of Tasmania, Professor the Honourable Kate Warner, in October 2017. These sculptures, let us remind ourselves, also make common cause with the suffering of migrants in our times. They should remind us that the trauma of displacement and forced exile are not experiences confined to our past, but are the lived experience of millions around the world today, including many who now call Australia home. The statues will create a significant heritage tourism route linking sites integral to the convict story — the Hobart waterfront, the Cascades Female Factory and the Orphan Schools. Those involved in From the Shadows pay respect to the muwinina people, the traditional and original owners of the proposed sites of the sculptural installations. We acknowledge today’s Tasmanian Aboriginal community who are the custodians of this land. Thanks to Tasmanian Archive and Heritage Office and the Cascades Female Factory for the use of their images.